...Ok, with that now in place, let's continue by asking you a second question. Do you have a specific dietary need? Sorry to be a little personal but it's essential in the context of what follows. If you do, still read on as no-one is missing out. From time to time Sketches like to champion local talent, to date we've looked at artists and musicians, so this time we head into the world of catering. Welcome, The Superfood Curry Company, a new enterprise risen from the ashes of the Cinnamon Travelling Cafe. A few weeks back I was invited to the official re-launch of this newly re-named food company. And given a chance to taste samples of their street fusion food and high tea delights. Before we get into whether their food tastes good, who are The Superfood Curry Company? 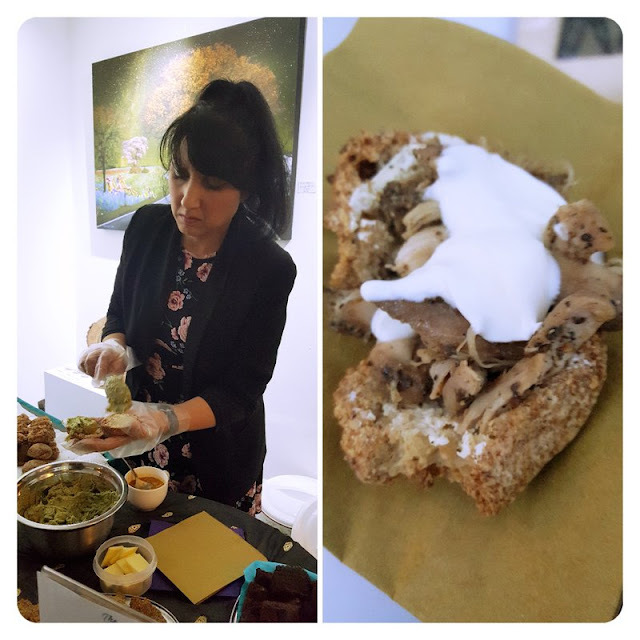 The Superfood Curry Company is the brainchild of two friends, Meena and Kim, who initially started their culinary journey as the Cinnamon Travelling Cafe, having fused together Indian and Carribean cuisine. After a re-think and a rebrand, they have now created a new high tea and street food service. They currently operate a range of services in the Aylesbury, Berkhamsted, Tring and Chesham region of the home counties (check out their website for details). So whether you're organising a function, party, work do, or just fancy being delivered something a little bit different then they will cater to your needs. Especially so if you have any of the following dietary needs. I'll hold my hands up here and say I'm no food expert, so I can only describe the taste sensations of their food from my insufficient food vocabulary. Suffice as to say after the tasting evening I can best sum it up by saying, it was blooming tasty! Scrumptious and fulfilling. 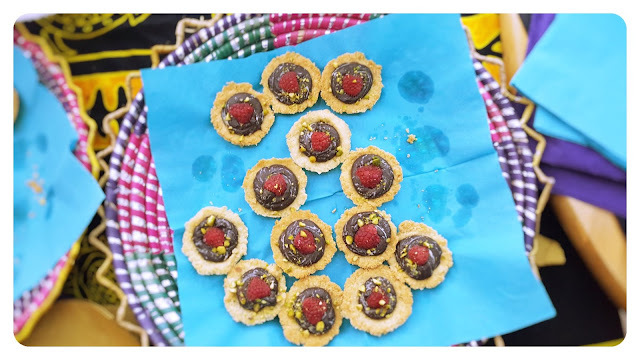 From tarts and ginger cakes (moreish!) to bang bang chicken (addictive) and brownies (to die for), it was a feast of flavours. So they indeed have delivered on their promise. Which if you do have one of the dietary needs described above will be welcome news indeed. I can't really do justice to their food here, so if you're in the Chiltern region or come upon them at any of the festivals or high tea events they hold, make sure to seek them out. Taste and enjoy! 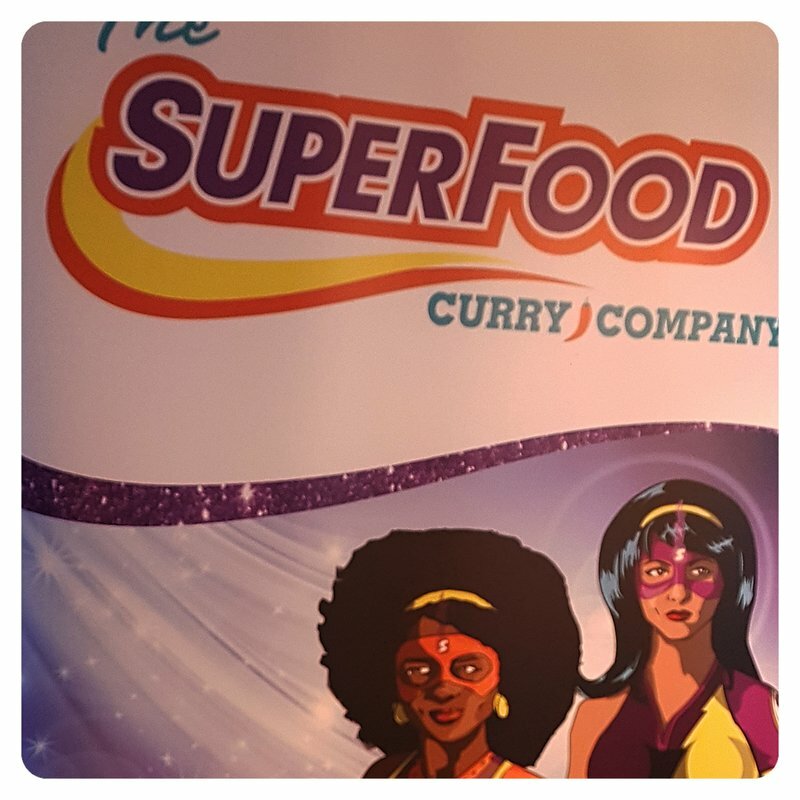 Or, if you are thinking of getting some outside caterers for an upcoming event and want food that fuses two cultures seamlessly together that tastes sensational, then The Superfood Curry Company is for you.